Nothing compliments the beach atmosphere quite like live music. Madeira Beach offers a convenient variety in the music & entertainment department. First, you can kick back and relax at The Snack Shack, located directly on the Gulf of Mexico. From their newly renovated tiki area, live music fills the air through the busy tourist season and every weekend. Across the Gulf Blvd, enjoy trivia, karaoke, open mic and great live music at the Daiquiri Shak. Just north of the Daq Shak sits the Brown Boxer. Known as a sports bar, it also hosts acoustic performances on its back deck. About two blocks east [behind Winn Dixie], check out the brand new R.O.C. Park, the only proper concert venue on the Pinellas County barrier islands. 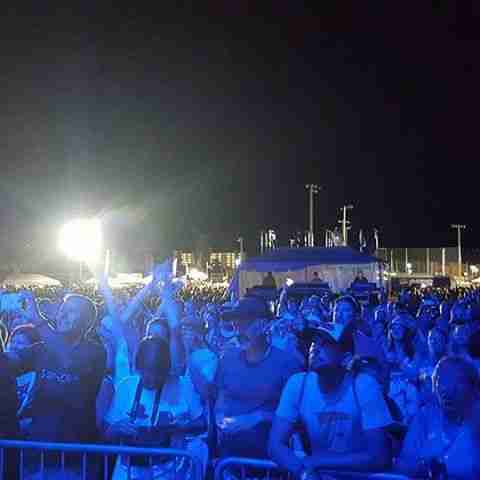 2015 was the inaugural concert season, and acts like Everlast, Saliva, Tonic and Boy George & the Culture Club were on the docket in Mad Beach. Other establishments that regularly host entertainment include Nirvana Cafe & Juice Bar and Beluga Coffee.